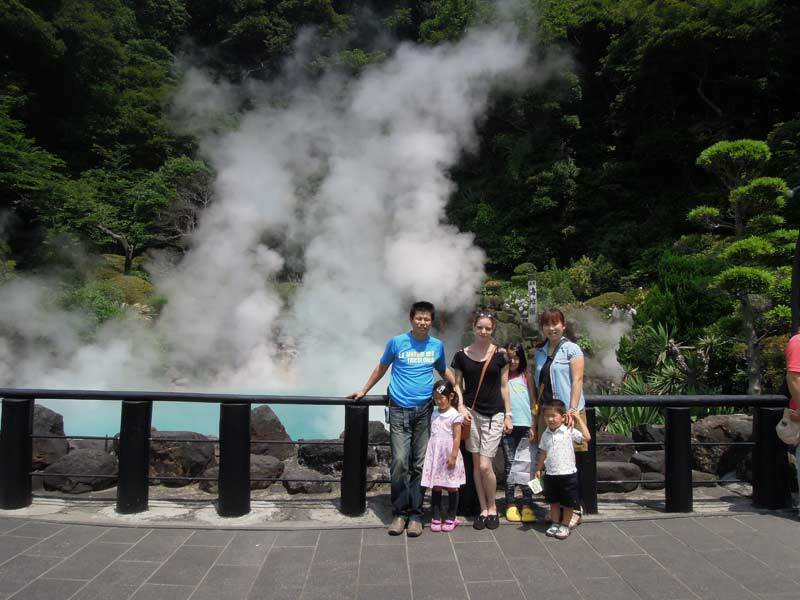 On Sunday I went with my host family to Beppu, a town known for its hot springs. We went to eight hot springs, which were all different and had different colors; one was cobalt blue another was red and another white, it was really beautiful to see! Our lunch consisted of vegetables and meat that were cooked in the steam of a hot spring. It was a special experience and a really good lunch! 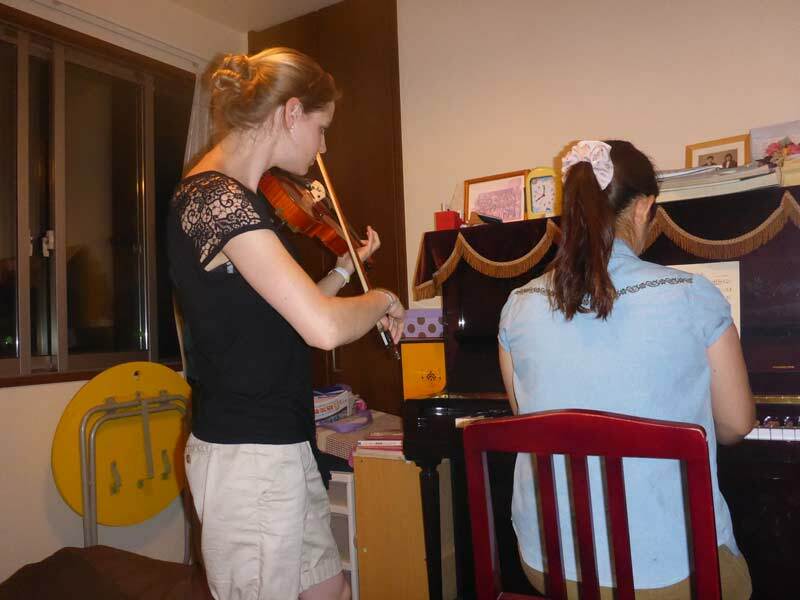 After we returned home and ate dinner, my host mom let me play on her violin and we also played together, she on piano and I on violin. It was so awesome and it made me very happy!